HOW DOWS THE SHOPPING BASKET SYSTEM WORK? IS THE CONTRACT TEXT SAVED? 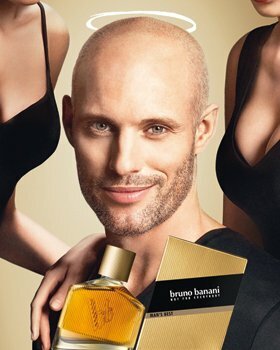 Monday to Friday from 09:00 to 17:00 on +49 (0) 7961 - 969 86 99 00 and by e-mail at service@brunobanani.com. 2.1 The illustrations of products in the online shop serve for the submission of a purchase offer. By clicking on the button [Send order], you submit a binding purchase offer. 2.2 We can accept your order by sending a separate order confirmation by e-mail or by delivering the goods. Receipt of the order shall be confirmed by an automated e-mail immediately after the order is sent, and this shall not constitute an acceptance of the contract. 2.3 If our order confirmation contains scribal errors or typographical errors or if our pricing is based on technical transmission errors, we shall be entitled to appeal, whereby we must prove our error to you. Payments that have already taken place shall be refunded to you immediately. The prices specified on the product pages shall include the statutory VAT and other price components and shall not include postage. 4.2 In the event of payment by cash on delivery (only within Germany), we charge a cash on delivery fee of EUR 7.00. 5.3 If not all the ordered products are in stock, we shall be entitled to provide part deliveries at our expense, insofar as this is reasonable for you. 5.4 If the delivery of the goods fails through your fault, in spite of three delivery attempts, we may withdraw from the contract. Any listed payments shall be refunded to you immediately. 5.5 If the ordered product is not available because we are not supplied with this product by our suppliers by no fault of our own, we may withdraw from the contract. We shall inform you immediately in this case, and suggest the delivery of a comparable product to you, if applicable. If no comparable product is available, or you do not desire the delivery of a comparable product, we shall refund any payments that you have already made to you immediately. 6.1 Payment may be made by credit card, PayPal, instant bank transfer, cash in advance or cash on delivery (only within Germany). 6.2 In the event of payment by credit card, PayPal or instant transfer, your account shall be debited when the payment transaction is executed. 6.3 If you are in default of payment, interest must be paid on the purchase price during the delay at 5% above the basic interest rate. We reserve the right to prove and assert greater damage caused by the delay. 6.4 You shall only have a right to offset claims if your counter-claims have been judicially established as legally binding or are undisputed or have been acknowledged by us in writing. 6.5 You may only exercise a right of retention insofar as the claims result from the same contractual relationship. The goods shall remain our property until payment has been received in full. Before the transfer of ownership, no pledging, transfer by way of security, processing or transformation shall be possible without our consent. 8.1 Verbraucher haben ein vierzehntägiges Widerrufsrecht. Verbraucher ist jede natürliche Person, die ein Rechtsgeschäft zu Zwecken abschließt, die überwiegend weder ihrer gewerblichen noch ihrer selbständigen beruflichen Tätigkeit zugerechnet werden können. 8.3 Bitte beachten Sie, dass die in den Paragrafen 8.2 genannten Modalitäten nicht Voraussetzung für die wirksame Ausübung des Widerrufsrechts sind. 9.1 If goods are delivered with obvious transport damages, please make a complaint about such defects to the deliverer immediately, and contact us as quickly as possible (Phone: +49 (0) 7961 - 969 86 99 00). 9.2 The failure to make a complaint or to contact us shall have no consequences for your statutory warranty rights. However, you help us to be able to assert our own claims to the carrier and/or the transport insurance company. The warranty shall be made according to the statutory provisions. If one provision of these General Terms and Conditions is ineffective, the remainder of the contract shall remain effective. In place of the ineffective provision, the relevant statutory regulations shall apply. How does the shopping basket system work? You can earmark products, with no obligation, by clicking on the button [Add to shopping cart]. You can view your basket at any time by clicking on the button [shopping cart] and remove products from the basket, if applicable, by clicking on the button [Delete]. If you want to buy the products in the basket, click on the button [Checkout]. On the order page, you can check your entries again. By clicking on the button [Send order], you complete the ordering process. The process can be cancelled at any time by closing the browser window. On the individual pages, you will receive further information, e.g. on correction options. 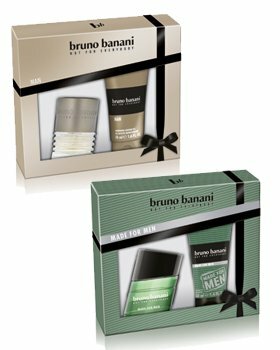 The company bruno banani underwear GmbH is willing to participate in a dispute settlement procedure with a dispute resolution body. The contract text is not saved by us. The order data and the General Terms and Conditions are sent to you by e-mail. You can view your past orders in our customer login area. You can print out and save the General Terms and Conditions here.